Investing in a good cutting fluid will allow you to machine parts smoothly and avoid issues, but selecting the right one can be challenging. Let’s look at the different types of fluids available and their characteristics. Coolant can be divided into two main categories: sulfur-based oil coolants (aka “neat” oils) and water-based coolants. Unless you are dealing with challenging machining operations that require very high cutting forces, you will most likely be using water-based coolant. This type of coolant is generally more pleasant to work with and is often more effective – as lubricant does a better job at removing heat than oil, especially when machining aluminum and other nonferrous alloys. This type of coolant typically contains 50% oil. They are the most natural type of coolant and therefore tend to be gentler on the skin. However, if not properly maintained, they can develop a bad smell due to the growth of bacteria in the sump. Synthetics fluids, as the name suggests, contain no oil. The work well on exotic materials and are usually used for aerospace applications. They tend to be the clearest of all cutting fluids, but are often the least lubricious and can be a little harsh on the skin due to their chemical composition. Semisynthetic fluids are a combination of the first two types. They contain a mix of mineral oils and chemical compounds. They are easier to maintain, less prone to develop bad odor and have good lubricity. Choosing the right coolant for your operations generally depends on several different factors. The material, tooling, and type of cut are all important things that you should consider when selecting a coolant to use in your machine. The “human interaction” with the liquid is also something to keep in mind. In the end, you will be dealing with this liquid every day, so working with a coolant that is particularly harsh on the skin or has an unpleasant odor might not be the best choice. 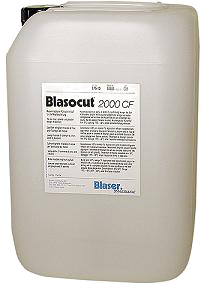 One of the most used mineral oil based cutting fluid in machine shops. It works well for nearly any machining operation and is well known for its excellent human and environmental compatibility. This works well on almost any material and operation. It has the lubricity and cooling characteristics necessary for superior machining results on high-speed milling and turning operations. It also controls chip welding on soft, gummy materials like aluminum. TRIM MicroSol 685 is a high-lubricity, semisynthetic microemulsion coolant. 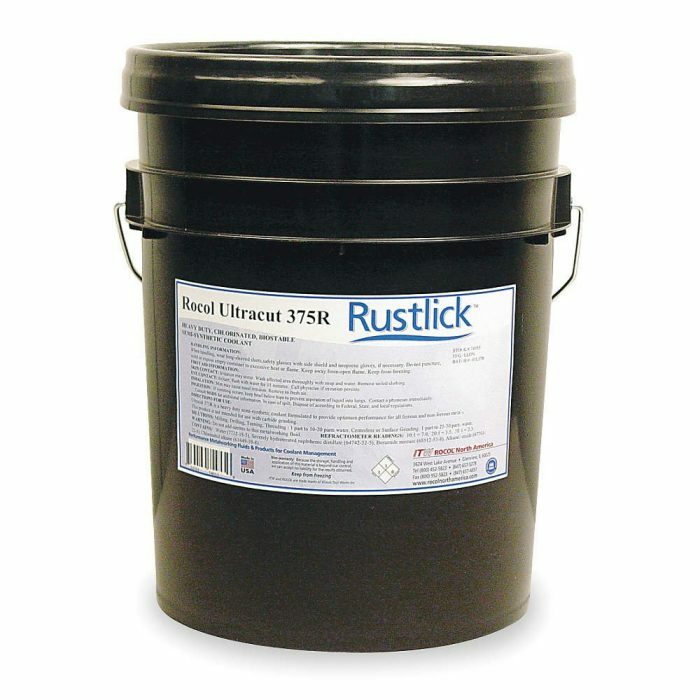 The formula offers the performance of a heavy-duty soluble oil with the cleanliness of a semisynthetic. Here is another great semisynthetic solution. It allows for a long sump life and can be used in a wide range of operations, from milling to drilling. To check the concentration of coolant you’ll need to use a refractometer. This device uses a special scale, called Brix scale, to show the density of the water sample. Some types of coolant might require you to apply a specific correction factor when measuring the concentration in the refractometer. If the correction factor listed in the coolant manufacturer’s spec sheet is higher or lower than 1, all you have to do is multiply the value that you see on the Brix scale by the conversion factor. Measuring alkalinity is the second important aspect of coolant maintenance. 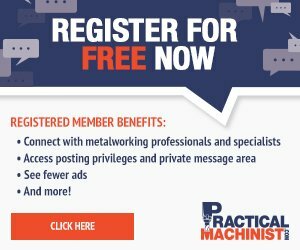 As the fluid ages, its pH will start to slowly degrade, making it eventually too acidic and potentially exposing your machine to rust problems. To monitor the pH of your coolant, all you need to have are pH test strips. The recommended pH level varies depending on the coolant but usually ranges from 8.0 to 9.0. The last maintenance item that you’ll have to address is oil skimming. This process is fundamental to avoid the development of anaerobic bacteria that will make the coolant go rancid. The best and easiest way to combat coolant rancidity is to keep it skimmed well and always moving. Oil skimmers are the best way to carry on this operation, although they can be quite expensive. Here you can find a creative way to make your own oil skimmer. In conclusion, choosing the right coolant and keeping it “healthy” will allow you to machine parts better, avoid ruining your tools and keep your machine running smoothly.